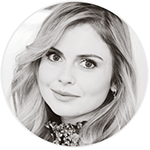 On this page, find a detailed description of all conventions to which Rose McIver attended. A convention is an event made for fans where they can meet their favorite celebrities. They can attend various panels and also access exclusive sessions of autographs/pictures with these celebrities.